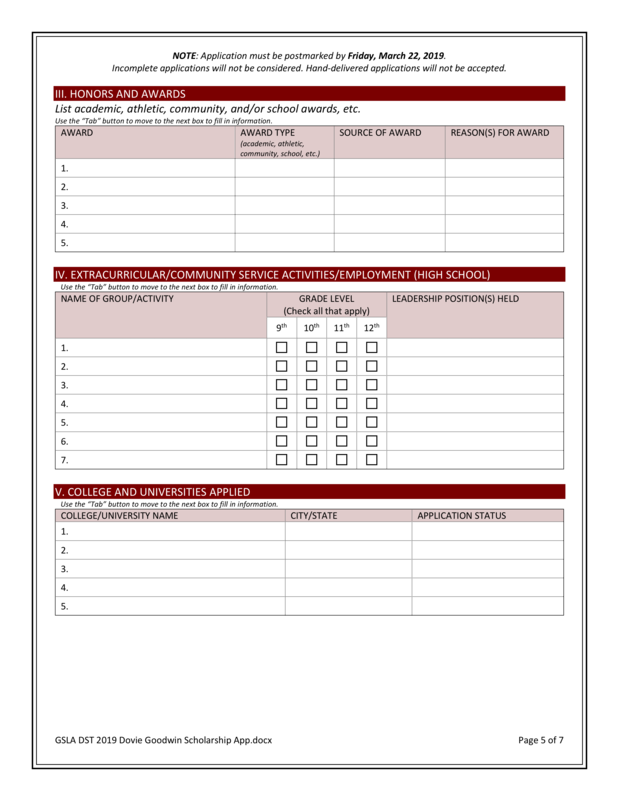 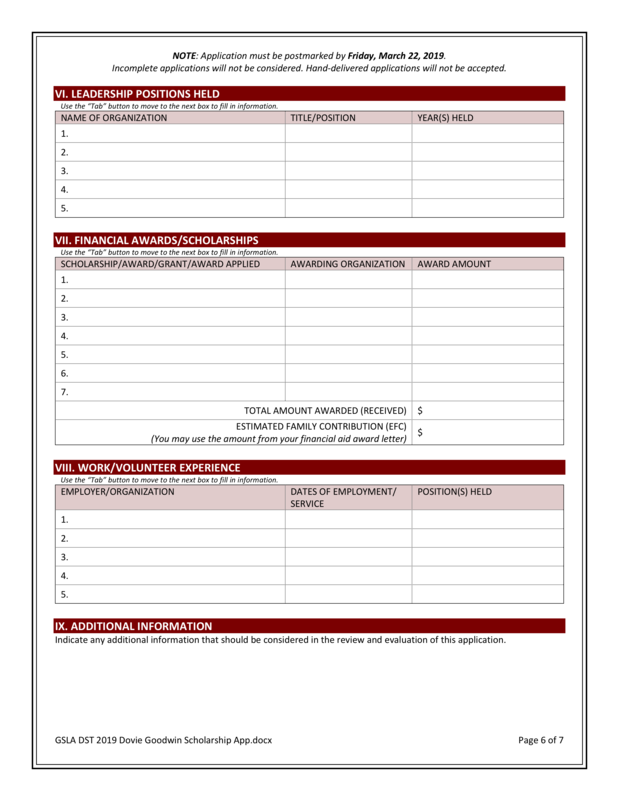 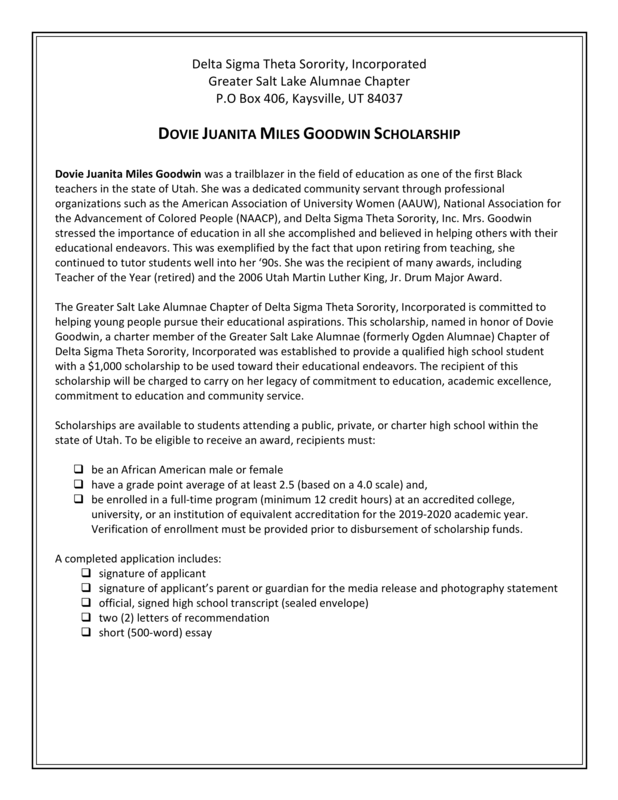 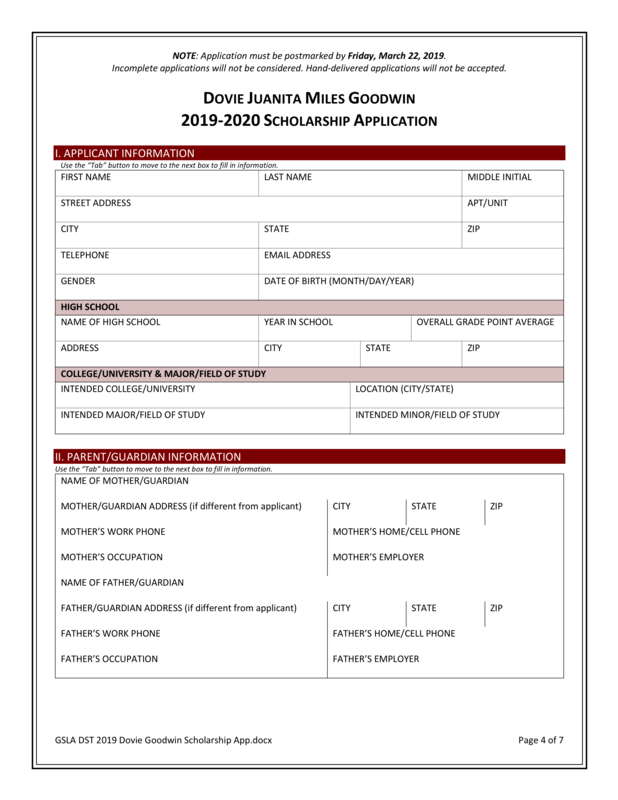 Dovie Miles Goodwin Scholarship Application - Greater Salt Lake Alumnae Chapter-Delta Sigma Theta Sorority, Inc. 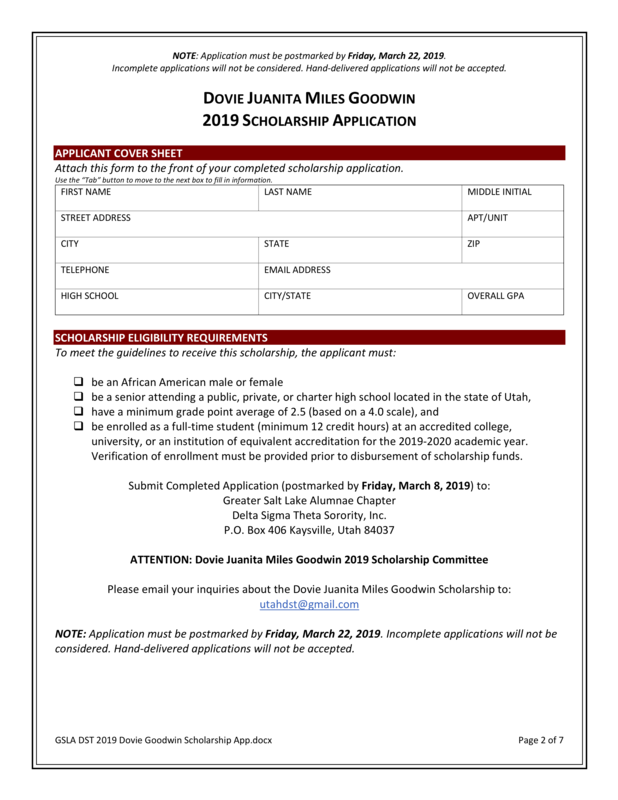 NOTE: Application must be postmarked by Friday, March 22, 2019. 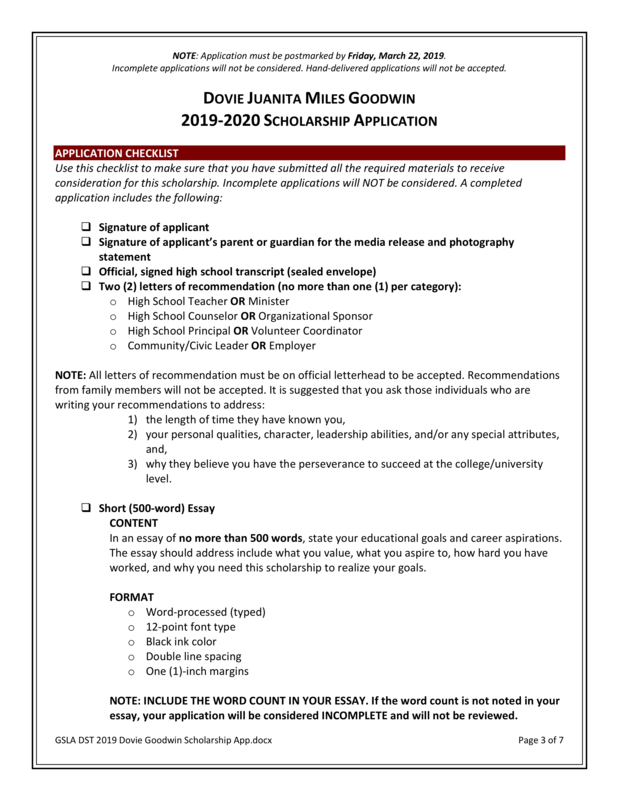 Incomplete applications will not be considered. 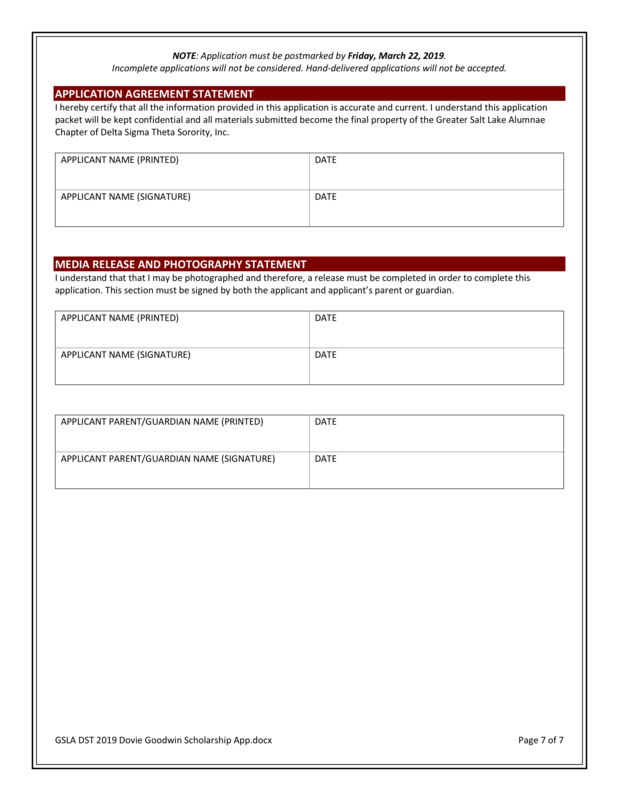 Hand-delivered applications will not be accepted.